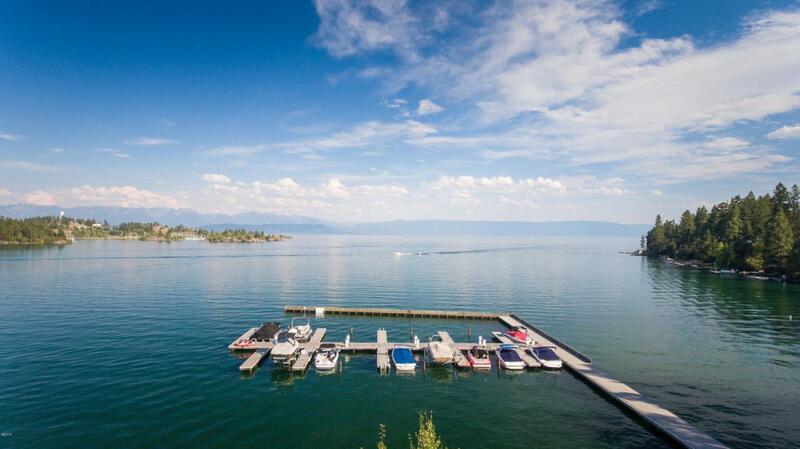 Enjoy Montana summers to the fullest on this incredible Flathead Lake waterfront setting. Spend a quiet weekend or entertain guests and enjoy the carefree living. Amenities include a boat slip, heated storage, fully equipped fitness center, underground parking and your very own additional 1480 square feet of outdoor living space with a gas fire pit. For more information please contact Amy Stevens at 406-249-6496 or your real estate professional. Listing provided courtesy of Amy Michelle Stevens of Glacier Sotheby's - Whitefish.